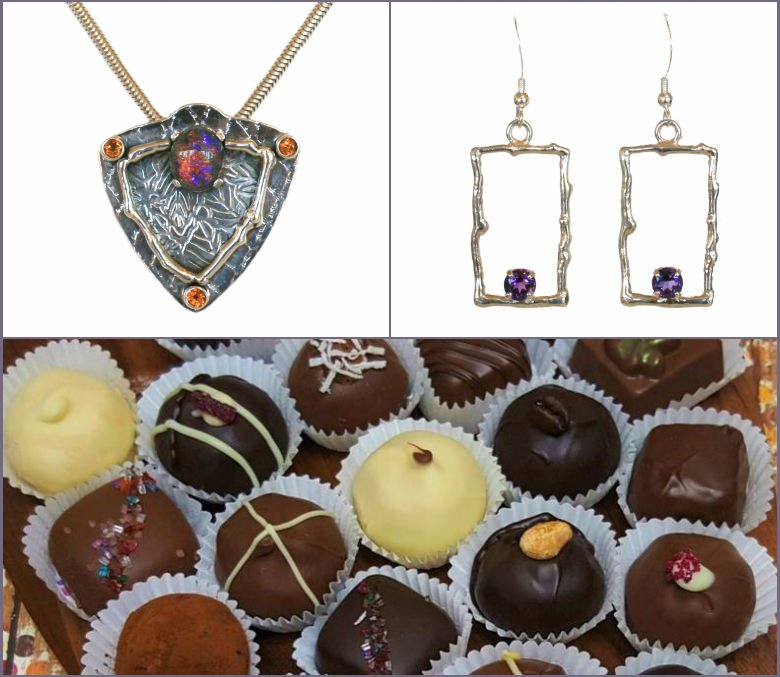 Spotlight on our 4th Annual Holiday Artisan Faire… Meet the Artists! Watch this space for developing details, new artisans, sneak peeks and artist spotlights! 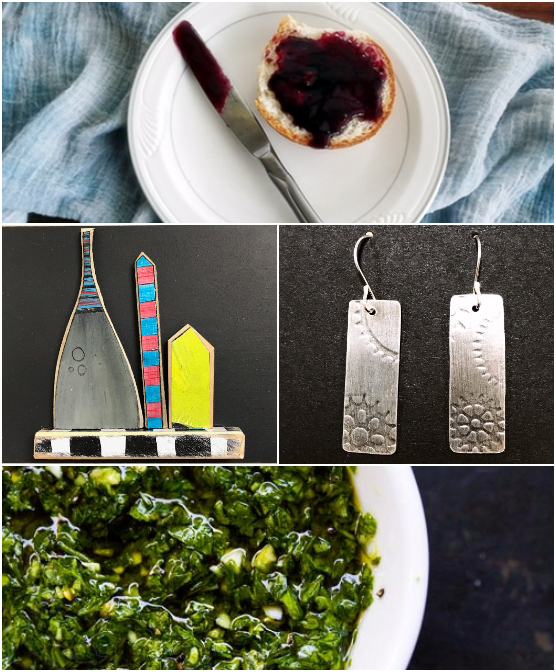 Meet the 19 talented artisans joining our 2 day Holiday Artisan Faire. You won’t want to miss our 4th annual event, so make sure you’re free to come visit us December 2nd and 3rd! It’s right around the corner! She’s back! Michelene Berkey comes to our Holiday Artisan Faire, from Colorado, ever year with her inventive “twiggy” creations. Ever changing and stretching her creative juices, Michelene works in gold and silver with gemstones, pearls and genuine diamonds. Large and small… Michelene does is all with artful class (even custom)! Handcrafted chocolate goodness, combined with a confectioner that is “sweet” beyond words, makes for one delicious experience. Luisa Chocolatiere delivers the goods! Luisa uses top quality ingredients combined in small batches to create the freshest and smoothest chocolate available. With chocolate bars, truffles and special holiday goodies, her chocolate is great as stocking stuffers and hostess gifts… We won’t tell if you also sneak an indulgence for yourself! Award-winning Deanna Deeds weaves with a twist! 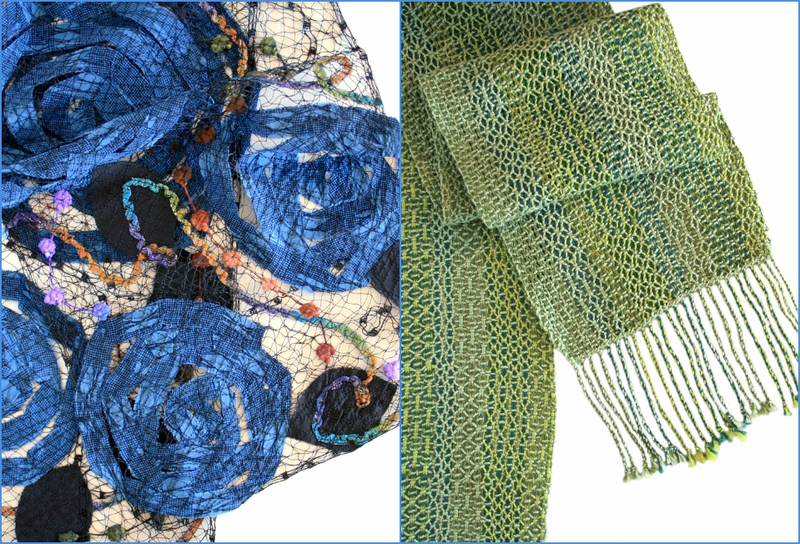 Using ancient hand-manipulated techniques and complex loom-controlled structure, Deanna’s masterfully woven scarves are just the thing to keep you stylish! Deanna is new to our Faire this year and we are sure you’ll want to wrap yourself in Deanna’s talent. Her textile home goods made a unique gift for a friend or your own holiday table! The ever wonderful Mary Hammond is back with her playful designs and fabulous creations. The complexity of her textiles will leave you asking “How did she do that?” Bright fiber and materials bring the vibrancy of summer while subtle hues add in a mix of sophistication. Discover abstracted flowers in brilliant colors and sometimes even a favorite snuggly animal friend. Don’t forget about her wall pieces! Dressed up or down, layered or alone, Elizabeth Nadler with her romantic crystals and boho beads, like Santa, are back in town. Find something fabulous to wear for any occasion or everyday! Betty’s necklaces are made in a variety of styles, lengths and colors, while her earrings will top off the look. Don’t forget about her hamsa and cross bracelets in silver, gold, bronze and crystal, or her new, totally savvy, adjustable styles! With prices that are oh-so-affordable, gift the gift of style to everyone on your list! Something sweet, sticky, healthful and delicious… what could that be? Must be local honey from Cary and Harris Family Apiaries! It all started 40 years ago when the Harris family began providing honey to farmers markets in southern California, including the Golden State’s very first certified farmer’s market! Made from a variety of fruit and herb blossoms, their honey has us all a-buzz. 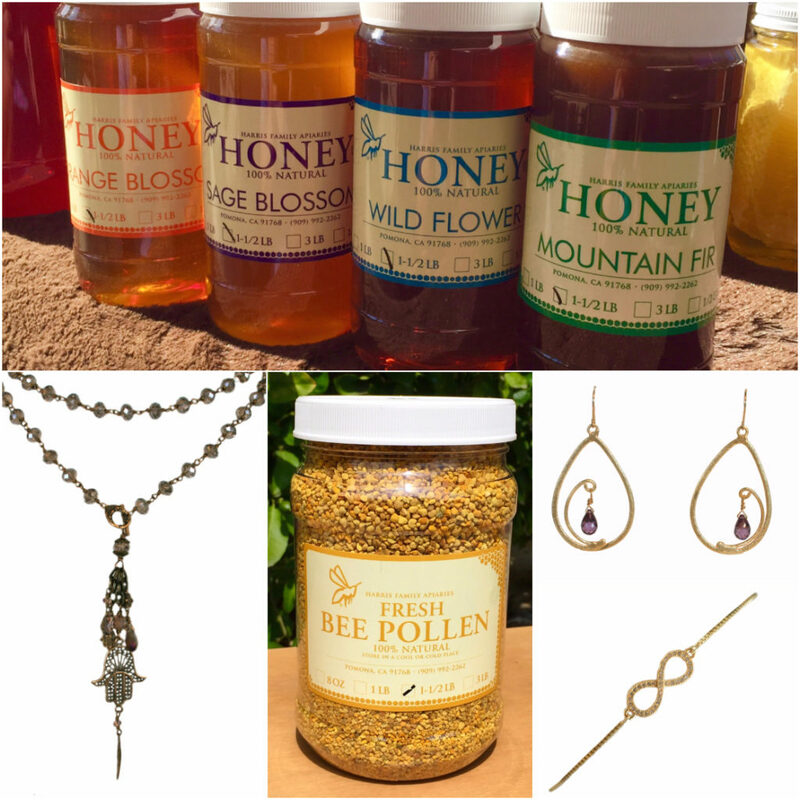 Visit Cary Harris to gift your honeybunch or even a lil’ somethin’ for your own holiday table. Lisa Mertins continues to captivate us! Visit her and marvel at her porcelain ceramic creations! Soft glazes, sophisticated designs and interesting forms make Lisa’s work extra special. 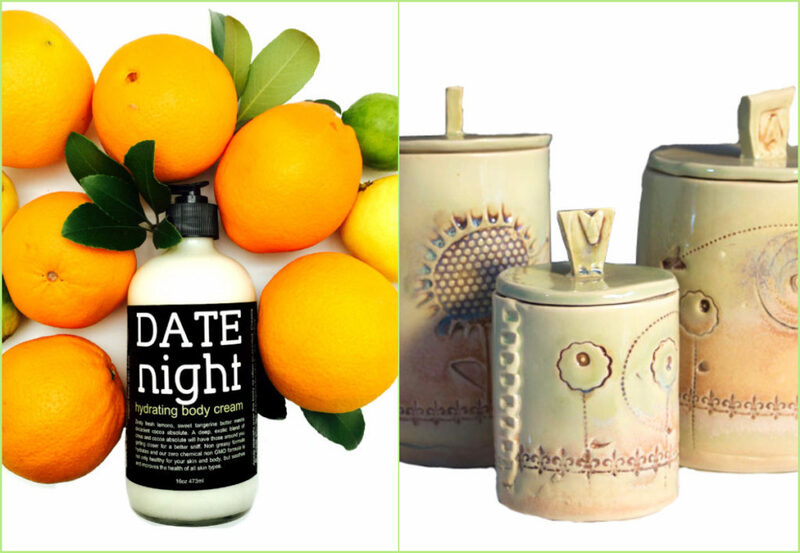 Darling birdhouses, animated sculptures, boxes, cups and more… You’re sure to fall in L-O-V-E with L-I-S-A! Handcrafted and totally luscious lotions in mouthwatering aromas? Yes, please! Kimberly of Bare Naked Botanicals creates “food for the skin.” Try her all-natural formulas featuring peach, lavender, citrus, rose and more. Everything is made in small batches with ingredients that contain the highest vitamin and antioxidant content, along with distillates from plants, teas, fruits or herbs. Your skin will thank you! The very adorable Jennie Milner and her artistry are simply charming! She fashions delightful necklaces, earrings and brooches from silver, resin, paint and fabric to add cheer to your spirits. Each whimsical house, bird, tree, coffee cup and flower she makes is full of joy. Her lively mini wall sculptures will bring a touch of whimsy to your walls. Joining our Holiday Artisan Faire SATURDAY ONLY is Sola Foods and their delicious jams, salsas, spreads and more! “Jam-packed” with fresh fruits, flavors and spices, Sola Foods is the perfect gift for food lovers everywhere. Enjoy sweet or spicy spreads like Pucker Up Berry, Shanghai Express and so much more. You won’t want to miss all the yummies Sola Foods has to offer, so set your mouth a-waterin’! 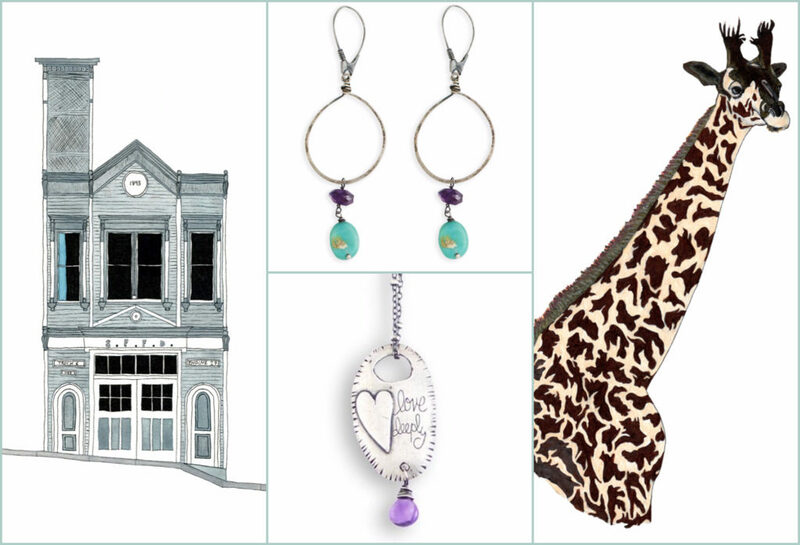 Meet one of our newest jewelry designers, Karen Boelts of Little Bridget Jewelry. Her inventive, inspirational designs will tug at your heart strings! Using recycled sterling and gems of all colors, her pendants and bracelets carry messages of encouragement. Simply put… all of her jewelry is made with love. Passionate about social justice, Karen donates a portion of her sales each month to organizations that support equal rights. For Karen, #lovealwayswins. James Keniston, London transplant and husband to our own Jennifer, will charm you with his detailed architectural and zoological drawings and notecards. The Brit is back for a second year! Although small in scale, his work is mighty in detail and precision. Using watercolor, colored pencil and ink, James renders famous places and edifaces that move him, including his native London. He’s even produced a card collection of his favorite animals and holiday cards to boot! Brilliant! Beth Marx is back! Wrap yourself in nuno felted shawls and wearables made from soft wool and silk fibers. Color and design are highlighted by unexpected combinations of mirror, yarn, beads and Sumi ink. Wear Beth’s fashions sideways, backwards, inside out or layered together for a look that’s unforgettable! Confused as to how to wear them? No problem… Beth will put you together in a snap! Travel the world with Janet Seward and her one-of-a-kind jewelry designs! Not only will you love her globally-inspired creations, you’ll adore hearing her stories and legends. Brass and silver from India, the Middle East and beyond combine with ancient medallions, African trade beads, bone and gems for a look that is exotic and distinctive, just like you! Just added! Welcome Patricia Prescott Sueme to our Holiday Artisan Faire and stable of artists! 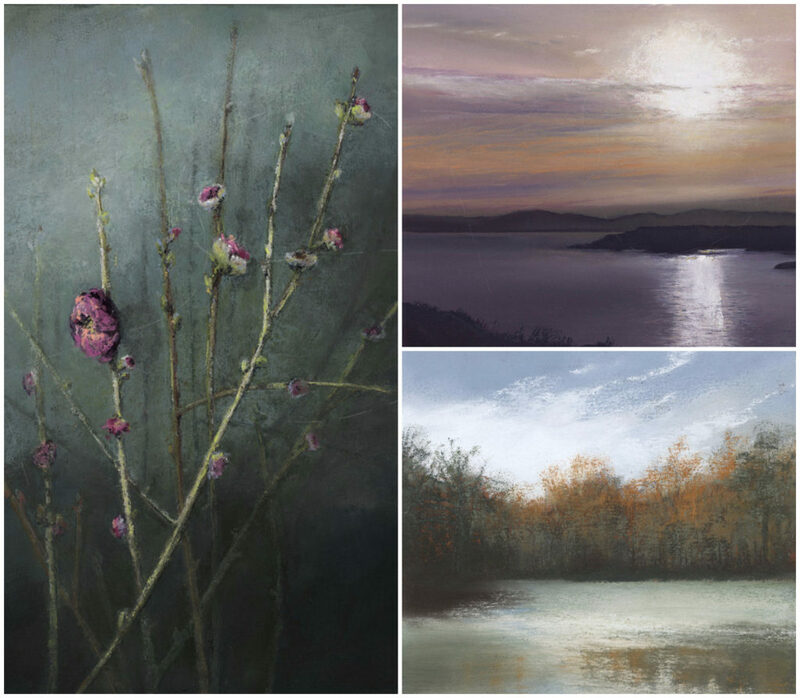 Working primarily in pastel, the level of detail and richness of tone in Patty’s small-scale artwork is simply incredible – you have to see it to believe it! She will be offering both original works and ready to hang archival prints at our Faire. Patty grew up surrounded by creativity and developed a love for the arts at an early age. She honed her artistic skills at Art Center College of Design, where she graduated with honors and embarked upon a career in graphic design. Then she inherited a vintage box of soft pastels from her grandmother and all bets were off! Daily devotion allows Patty to explore the medium and lend a freshness to its inherent old world charm. Moody seascapes, light-filled vistas, soothing still-life and holiday imagery all glow with life in Patty’s deft hands. 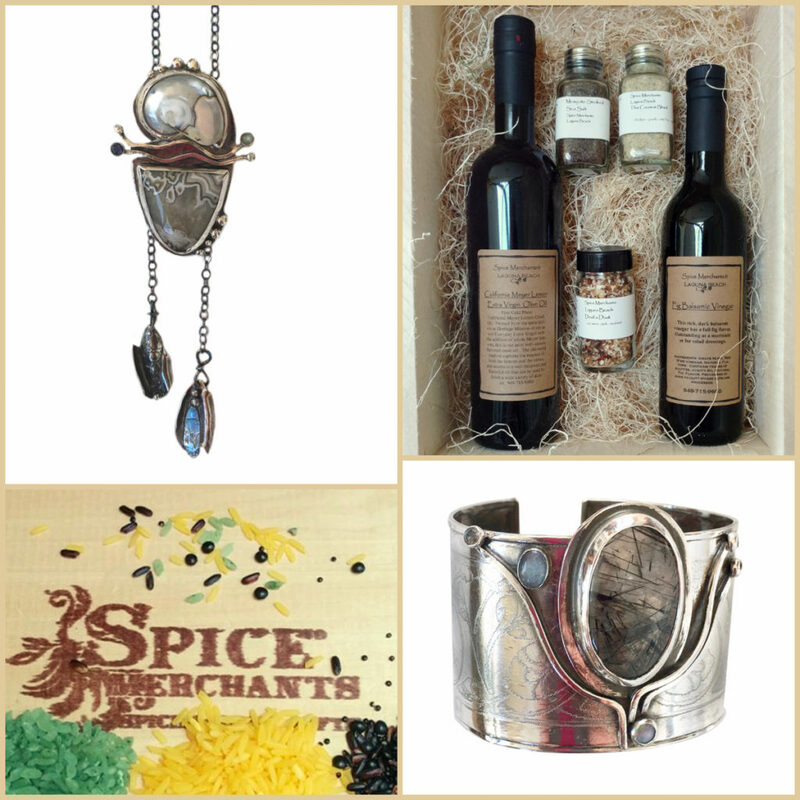 Put a little pizzazz on your palate with Spice Merchants! Joining us for a second time from Laguna Beach, Paul’s gourmet salt blends, exotic spices and delectable olive oils and vinegars are sure to entice you! Use in your holiday meal prep or give as a hostess gift. And, with tantalizing tea blends, you can’t go wrong! Monique, oh Monique, so creative and unique! We’re thrilled that Monique Selwitz will be joining us once again with her stunning one-of-a-kind jewelry! Sterling silver, raw brass and a smattering of stones, large and small, are the hallmarks of this creative jewelry designer. Come and be tempted! 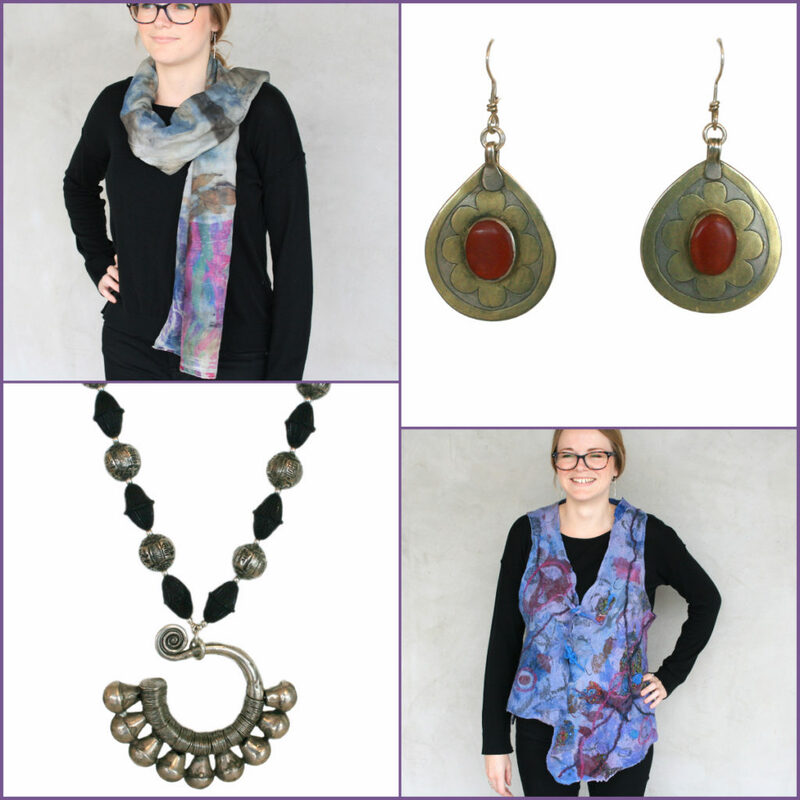 Mixed metal and enamel jewelry with a modern and slight Asian flair! 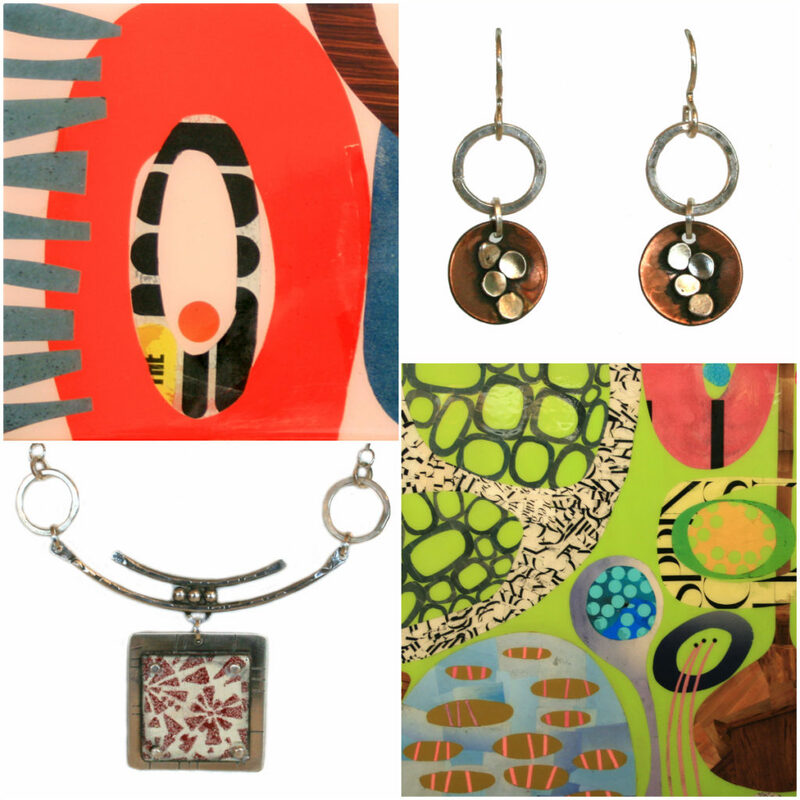 Joanna “crafts” her designs using sterling silver, bronze, gold-fill, copper, brass and colorful enamel. Using traditional metalsmithing techniques, she transforms sheets of metal and wire strands into organic forms and geometric shapes. Raw gemstones and molten glass add that extra oomph of color! From large statement necklaces to small, everyday earrings, Joanna does it all! Color and form dance under glossy resin in Suzanne Currie‘s mixed media wall art! Her modern and sophisticated creations reflect “the intricate simplicities of nature, the freely restrained movements of ballet and the unity of a multifaceted world-view.” Suzanne also brings her signature style to the handcrafted jewelry and accessories we hear she’s bringing in December! Click HERE to let us know you’re joining us December 2nd and 3rd! This entry was posted in art gallery orange county, art gallery tustin, chemers gallery, chemers gallery tustin, fashion, holiday artisan faire, jewelry, local art, local artist, new art, orange county art, orange county artists and tagged abstract art, animal, animal drawing, architecture, art fair, art festival, art gallery orange county, art gallery southern california, art gallery tustin, artisan jewelry, asian flair, balsamic vinegar, bare naked botanicals, beaded jewelry, bee jewelry, best chocolate southern california, beth marx, boho crystal, boho jewelry, build a little birdhouse in your soul, ceramic, ceramics, chemers gallery, chemers gallery event, chemers gallery tustin, contemporary art, contemporary wall art, contemporary wall sculpture, deanna deeds, deanna jill deeds, drawing, elizabeth nadler, elizabeth nadler jewelry, enamel, ethnic jewelry, exotic jewelry, felted clothing, felted scarf, fiber, fiber art, food, free event, gemstone, gift ideas, gifts, gourmet salt, greeting card, hand weaving, handcrafted, handcrafted chocolate, handcrafted jewelry, handmade, handmade clothing, handmade holiday, handmade jewelry, harris family apiaries, harris family honey, holiday event, holiday giving, homemade jam, homemade treats, jam, james keniston, james keniston art, james keniston fine art, janet seward, janet seward jewelry, jc milner, jc milner metalworks, jennie milner, jennie milner metalworks, jewelry, joanna craft, joanna craft jewelry, karen boelts, lisa mertins, lisa mertins ceramics, lisabeth mertins, little bridget, little bridget jewelry, local chocolate, local honey, lovealwayswins, lovewins, luisa chocolatiere, mary hammond, maya gemz, michelene berkey, michelene berkey jewelry, miniature houses, mixed media, monique selwitz, monique selwitz jewelry, natural lotion, natural skin care, note card, notecard, nuno felt, olive oil, organic jewelry, pastel, patricia prescott sueme, patricia prescott sueme fine art, plant based beauty products, porcelain, ribbon scarf, salsa, salt blend, scarf, sewn scarves, silver, silver jewelry, small batch chocolate, soft home goods, sola foods, spice blend, spice merchants, spice merchants laguna beach, spirited muse, spirited muse jewelry, spread, stationary, studio 907, suzanne currie, textile, textile creation, textile creativity, textiles, twig jewelry, wall art, wall sculpture, whimsical art, whimsical ceramics, wool and silk, woven on December 3, 2017 by Chemers.